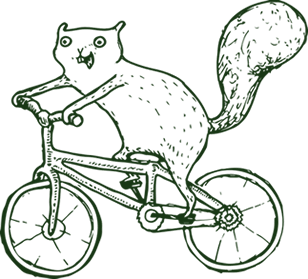 The past week has been an amazing experience of nature and wildlife, and after Goshen College students arrived back to campus on Sunday, everyone felt the effect of the wild. Personally, I found getting reacquainted with my cell phone and computer to be somewhat surreal. And putting my Timex watch back around my wrist reminded me of our culture’s adherence to time. Many of the students in the group felt as if we were lost in a sort of “time warp,” an experience which could easily be likened to that of C.S. Lewis’ Narnia series, wherein characters return from years in the fictitious world of Narnia only to find that a brief moment has passed on Earth. 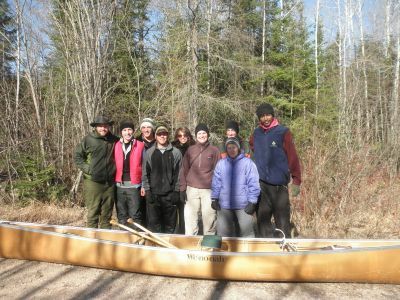 Before we left Wilderness Wind with our canoes, each of us took our cell phones, watches, iPads and computers and left them in the staff house for the week. On the Boundary Waters, where there is no internet or cell phone coverage, time no longer matters. 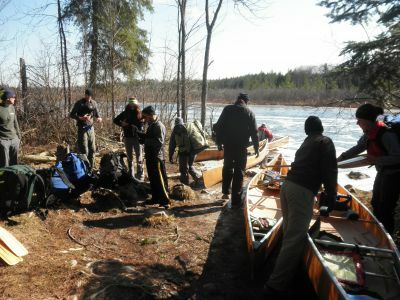 The group prepares to embark on Little Indian Sioux River, adjusting life jackets and packs before loading into the canoes and paddling away. Our first day on the water was filled with suspense as we wondered how much ice we would encounter. Checking out weather reports a few days prior had most of us concerned that we wouldn’t be taking the path we planned for. 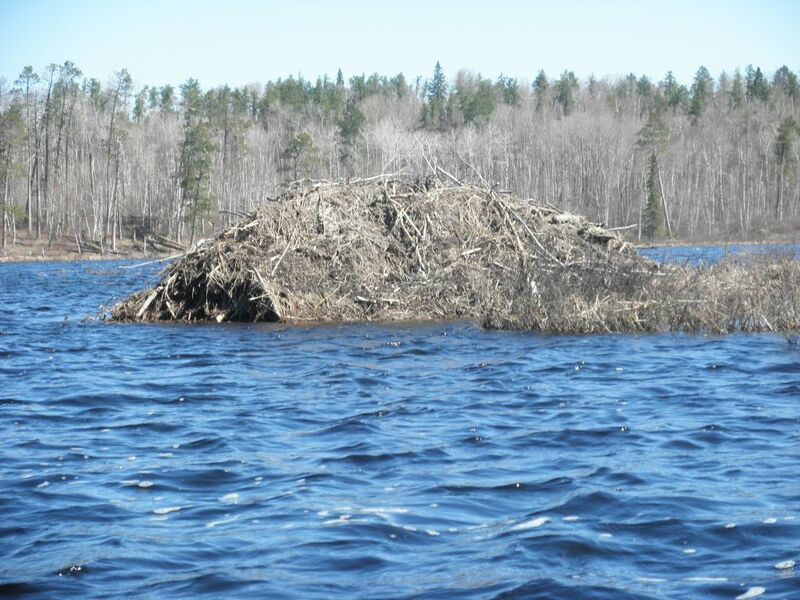 In fact, residents of nearby Ely, Minnesota annually take polls and make bets about when they think the lakes will be completely void of ice. The previous record for latest ice out was back in the 50’s, according to our group leader Val Hershberger, professor of Physical Education at Goshen College. This year might even beat out the previous ice out record of May 22. 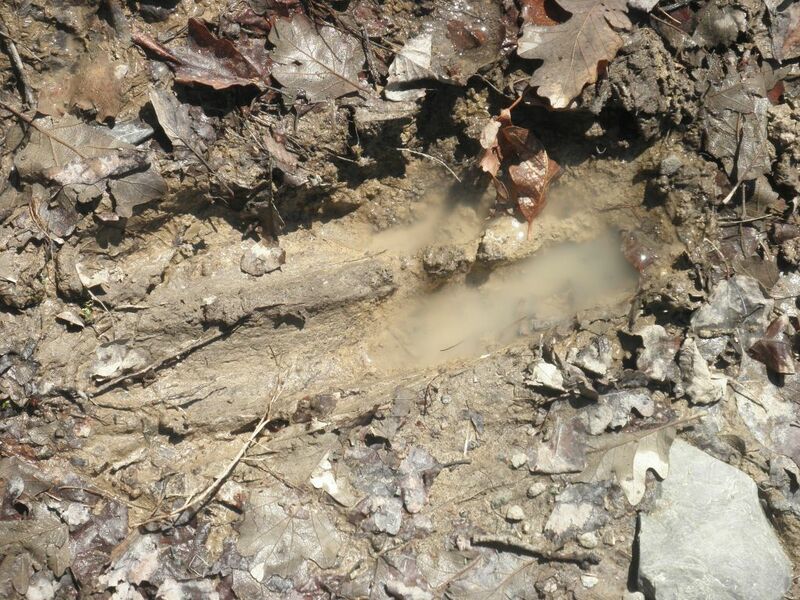 As our trip wound to a close last Saturday, May 18, a blogger reported from the Forestry Service that there was still ice on some of the lakes. Ice can effect a trip in many ways, especially when it comes to planning the route. As a result, our group was forced to make decisions as they came to us, planning our routes as we went instead of having a scheduled agenda for our time on the water. Our path for day one starts at the bottom of the map, beside the circled 14. From the parking lot, we stopped at the beginning of Upper Pawness Lake for a GORP (Good Ol’ Raisins and Peanuts) break before heading farther North. Halfway through the 160 rod portage, we stopped for lunch before pushing through to East Loon Bay, where we encountered ice after almost seven miles of travel. 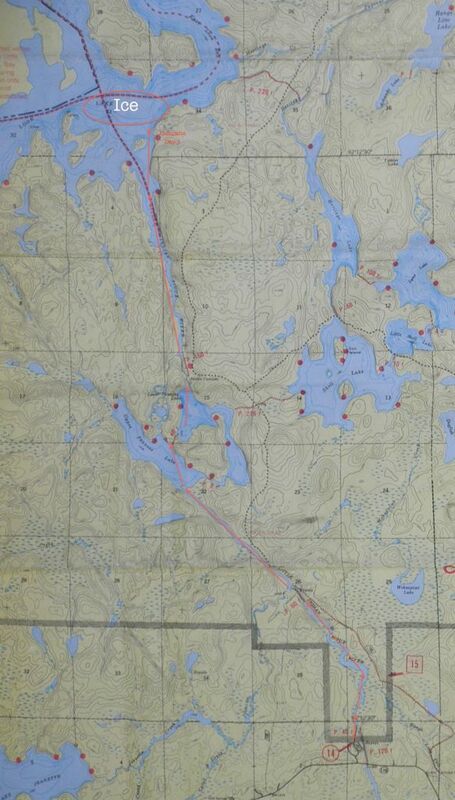 Once we reached our put-in point on Little Indian Sioux River, we managed to paddle North the whole way through Upper Pawness Lake into East Loon Bay before finding a sheet of ice blocking our path. Between sections of lake and river, there are periodic paths called portages that are used to get from lake to lake or to avoid rapids. 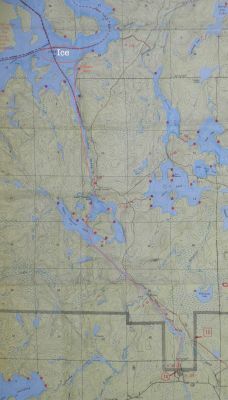 On the map, each portage is labeled by red dots, and is given an amount of “rods,” with each rod equaling 16.5 feet, or 5 meters. 320 rods equals one mile of portaging, and each square of the map grid equals a square mile. Thankfully, none of our portage paths were covered with ice. With nowhere left to go in East Loon Bay, we made camp at the nearest site and hoped for the ice to melt. The entire day was sunny, but the cool Northern wind wasn’t going to help as much as the warm breeze from the South. As we made camp, we knew that there were a couple of factors including the wind that would play into how the ice melts. Sunshine and, surprisingly enough, rainfall would both help the ice to melt. However, even though the ice was black and looked almost ready to break, there were still 4-6 inches of solid ice on top of the water. By the end of the afternoon, we were experiencing much warmer weather, enjoying some fishing and one of our pre-packed dinners before settling in for another frigid night. With any luck, we thought, a path through the ice will clear by the morning, enabling us to head North into Lac La Croix. Getting ready for our week-long adventure. From left, junior Logan Miller, senior Rebekah Steiner, freshman Logan Steingass, junior Josh Schlabach, freshman Emma Patty, Gretchen Nyce, junior Daniel Graber, prof. Val Hershberger, and junior Sunday Mahaja. Each of us carried our own pack, which carried our own gear and clothes, as well as either a tent or food bag. 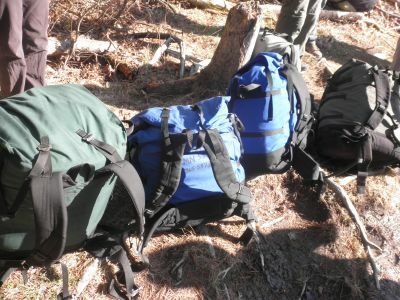 An extra bag was taken along containing other community gear such as stoves, cookware, bear ropes and water purifiers. 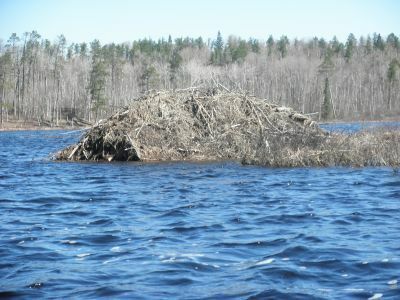 One of the many beaver lodges we encountered on the Waters. This one was possibly the largest. Though we didn’t see any moose, evidence of their existence was obvious. 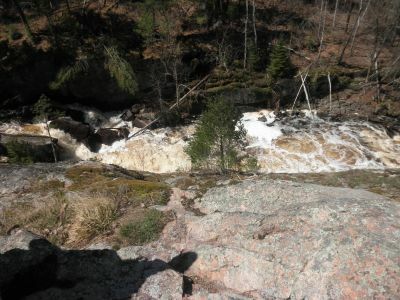 From the campsite along our fourth portage, we decided to have lunch overlooking the rapids below.